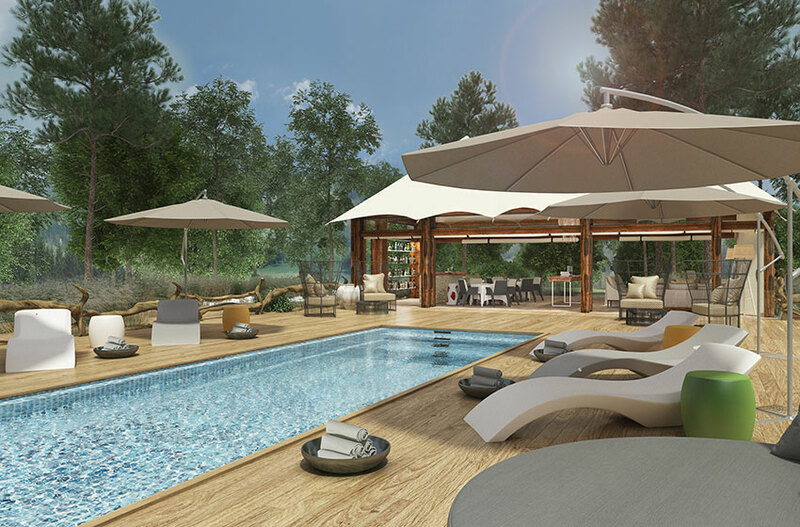 The Royal Delta Lodge has been designed to exceed all expectations; accommodation, cuisine and a host of activities, all provide unrivalled hospitality, where intimacy, privacy and exceptional hosting ensure that each and every guest enjoys an unforgettable experience. Guests can enjoy unlimited scheduled activities; morning, afternoon and night game drives, star gazing, boat cruises, Mokoro trips, fishing and optional extra horseback safaris. 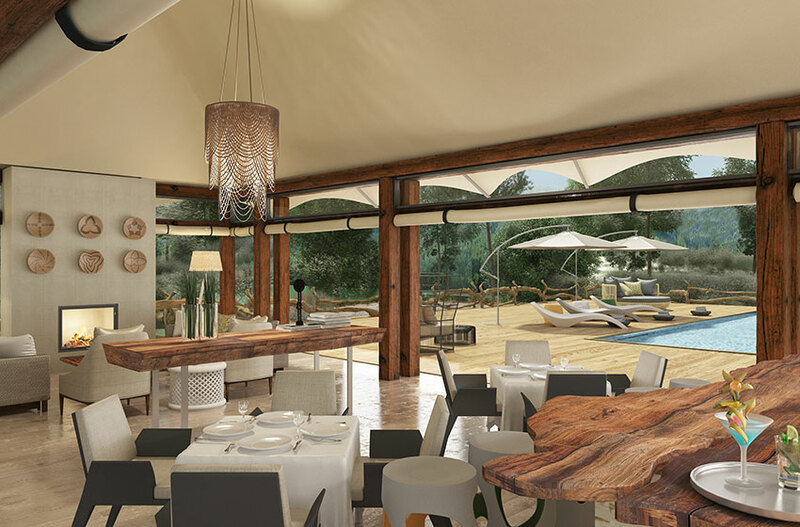 Your last day out in the magnificence of the Botswana bush begins. Early breakfast is followed by game drive as usual, and lunch and siesta will follow.After tea, you will depart the camp for your final game drive ending with a spectacular sunset over the Chobe River.Arrive back to a fire-lit camp and a table set for dinner under the stars. 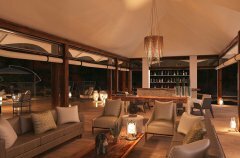 The evening routine commences with drinks around the fire, and an exchange of happy safari memories before turning in for the last night in the wild. 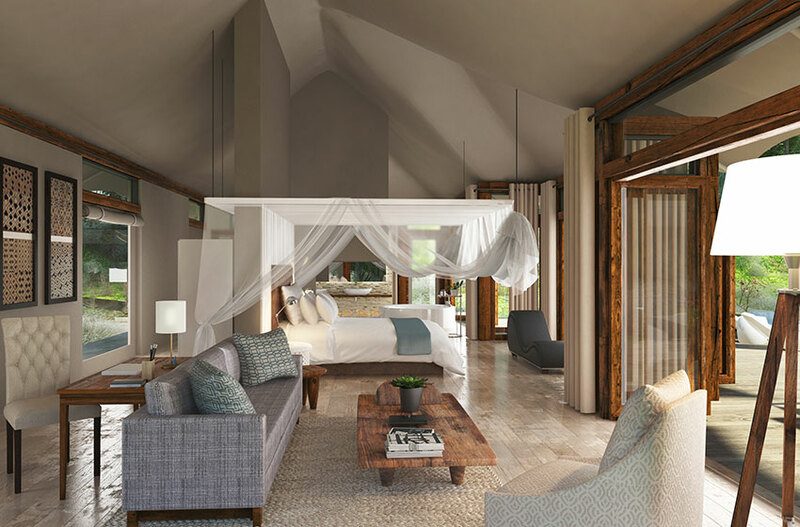 Our family suite is located in close proximity to the main areas of the lodge and boasts 2 bedrooms, each en-suite, separated by a lounge area which overlooks a private plunge pool. The design and layout of this suite ensures social areas flow seamlessly whilst retaining privacy when desired. 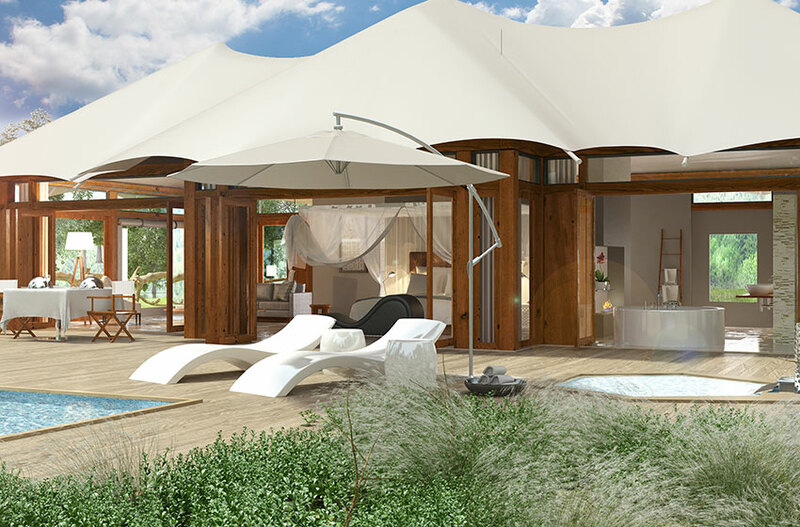 Each Honeymoon Suite has a huge bed surrounded by walk-in mosquito netting, wood fired hot tub, giant round bath, unique romantic turndowns and a carefully selected blend of textures and colours to embrace the spirit of romance. 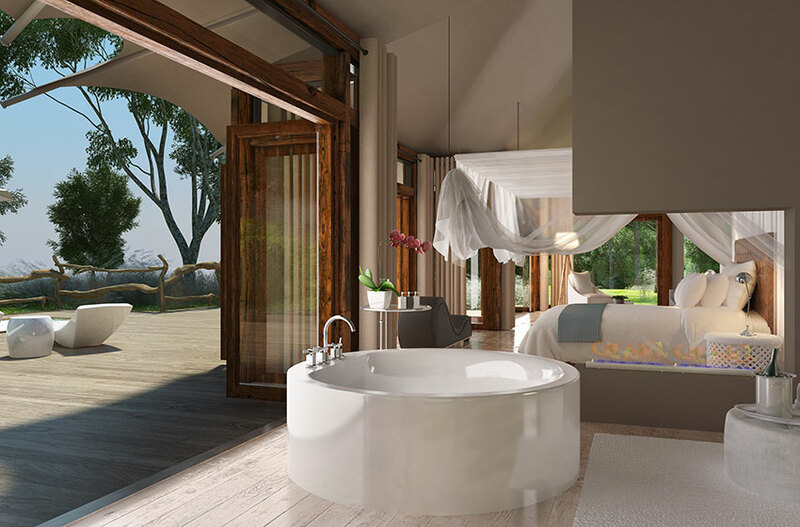 Located so as to create a feeling of seclusion and intimacy, these suites have been designed to offer uninterrupted views of the surrounding environment while still maintaining individual privacy. Inspired by the Cabinets of curiosities or Wunderkammer of the Victorian era, the Discovery Room is filled with a collection fauna, flora and other interesting objects from the indigenous surrounds. 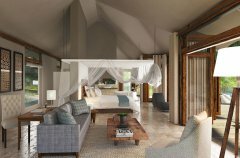 This unique room offers guests the opportunity to learn more about the Okavango Delta and local wildlife, either on their own or with the assistance of our guides. The key feature of the Discovery Room is the 3D map of the lodge which allows guests to gain a better understanding of the layout of the lodge and expansiveness of the Delta. Reminiscent of a bygone era, the Explorers Room captures the spirit of the early explorers with a Livingstone-style tent lavishly furnished with authentic antiques, a wrought iron bed, travel trunks and all the essential equipment for a 19th century African expedition. 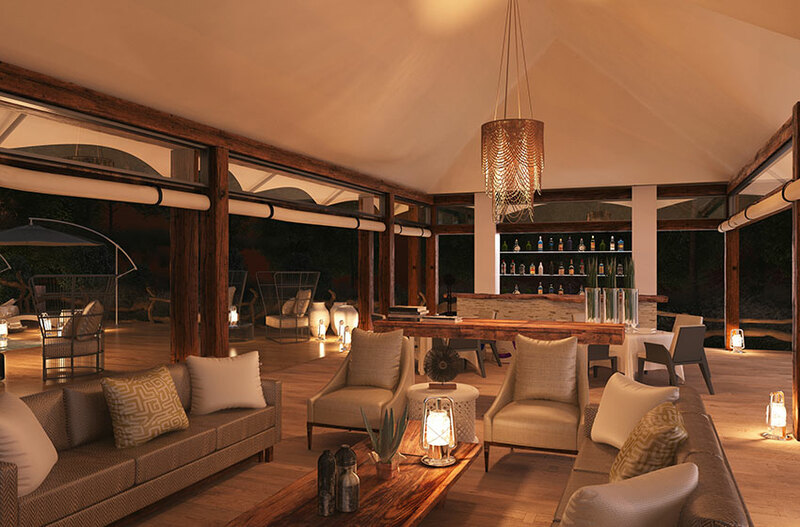 Here guests can be transported back in time to the age of Thomas Baines and experience the Okavango Delta from the perspective of an intrepid traveller. All rates are per person per night sharing. 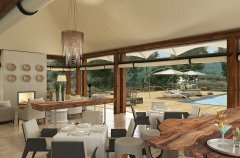 Rate inclusions: Accommodation, all meals, water, soft drinks, local beverages, house wines, selected premium spirits and Méthode Cap Classique, laundry and unlimited scheduled activities (game drives, boat cruises, mokoro trips and fishing). Rate exclusions: Not selected premium spirits, wines and Champagne, horseback safaris, scenic/photographic flights and items of a personal nature. Children: The Family Suite is a unit rate and has a second bedroom which can accommodate two children between 8 & 12 years of age (or one additional adult), through a common unit entrance. 364 and 90 days prior to arrival - 10% deposit is required within 14 days. 89 and 30 days prior to arrival - 25% deposit is required within 7 days. 30 and 0 days prior to arrival - 100% deposit is required within 2 days. The lodge reserves the right to restrict one night weekend or peak period bookings. Children under 8 on request only. *All Botswana charter companies welcome and no additional landing fees apply.